If you are a typical moon in Pisces, you are a soft-hearted person who genuinely cares about others. Being extremely sensitive, you can be easily hurt by rejection, insults, and criticism of others. School may have been difficult for you due to your extreme sensitivity. As soon as you feel unappreciated by people, you tend to retreat into a fantasy world that may be hard to let go. You are very loyal to your friends who appreciate your silly sense of humor. You are very romantic and never forget a gift on Valentine’s Day or someone’s birthday. It is likely you are talented at writing, music, or art. To understand what a moon sign is, you first need to know what star signs are about. A star sign is also know as a zodiac sign. Each sign in the zodiac represents a particular pattern of stars in the night sky, also called constellations. The ancients used these constellations to navigate the seas. Your star sign represents the constellation the Sun was in at the time of your birth, from the perceptive of where you were born. Therefore a moon sign represents the constellation the moon was in at the time of your birth. The moon travels through each zodiac sign approximately every 2.5 days. Where as the Sun travels through all twelve in 1 year. The moon sign represents our deep emotional side. Sun signs represent our overall personality, to view your overall star sign traits click here. If you want to learn more about astrology, please check out our top ten recommended astrology books. There are books suitable for beginners and masters in astrology. They cover a wide range of topics such as the fundamentals, natal charts, predictive astrology and more. 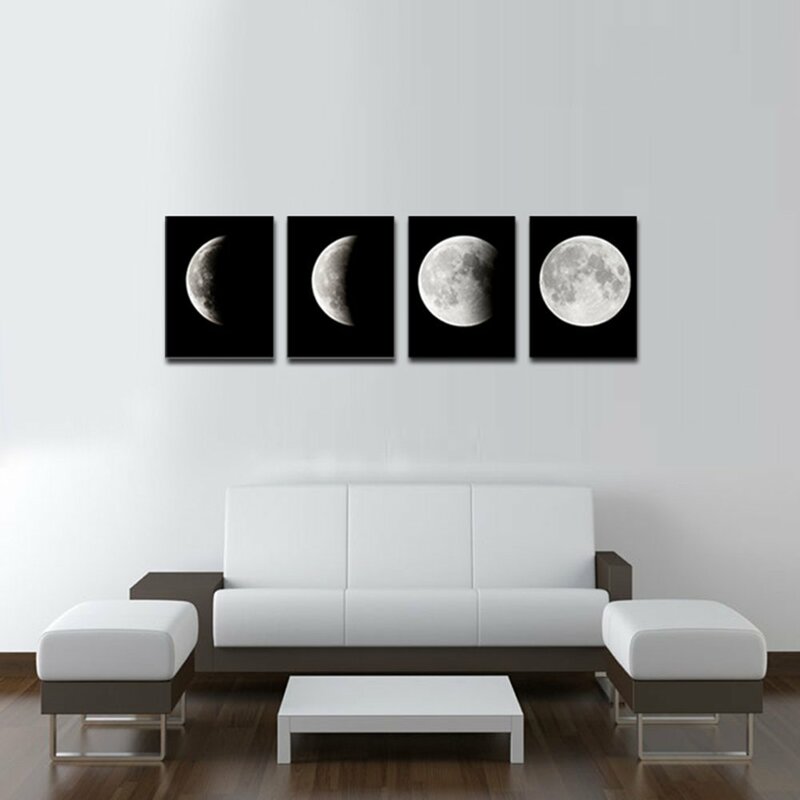 Do you like moon art? A typical moon in Aquarius likes their freedom. You demand the right to do whatever you want at all times. It is completely natural for you to observe and analyze others, wondering why they act the way they do. If you don’t get your own way, it can be hard for you to accept; however, this gets better with age. In close relationships you are emotionally distant at times. However, once you get to the point of feeling at ease with your emotions, you will reveal them freely. You like to be with a group of people, especially your friends. You stay loyal to your close friends; they find your playful nature and good sense of humor fun to be around. While growing up, you likely felt different from other people. A typical moon in Capricorn is an ambitious person who works hard to achieve your goals. You are not one to take risks, so you plan your life ahead. Extreme emotions are something you cannot deal with; in fact, it probably scares you. Because your emotions are so locked up, there is probably a lot of anger and resentment you are holding onto. Be careful this doesn’t cause illness or depression in your life. Learn to deal with these feelings. 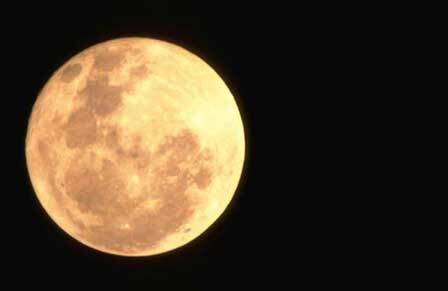 A typical moon in Sagittarius is an optimistic and cheerful person who has a happy-go-lucky, free-spirited nature. You like to be physically active such as travelling, socializing, or doing sports. Basically, as long as you’re getting about and doing something, you’re happy. Routine is not for you, as it hinders your freedom to do what you want. You are not keen on planning either, as you simply believe things will work out for the best. You are competitive and highly driven. Power and status easily impress you. A typical moon in Scorpio is an emotionally intense person who often feels the need for change when life starts to get boring. There is great presence about you, even if you are shy. Being very strong-headed, not many things scare or shock you. A typical moon in Libra likes to thrive on relationships and does not like being alone. Once in a relationship, you can easily see flaws, and it will nag you until you fix them. Also, you don’t like to lose an argument; having the last word is important to you. It is vital for you to have intellectual stimulation in a relationship. You have excellent planning and strategic ability plus good attention to detail. Friends come easily to you due to your gentle approach and good manners. Your feelings are out there for people to see, especially when you have your mood swings. It is hard to keep your feelings secret, which makes you a very transparent person. A typical moon in Virgo is a trustworthy, practical, and reliable person, always willing to help others. You feel the need to always be busy, and to have a routine. When first meeting a partner, you can be shy and maybe even intimidated by them. This problem may come from your ability to analyze yourself. If you are low in confidence, your self-awareness may get the better of you. Affection to your partner is shown in small practical ways. Although you are a curious person, spiritualism is probably not something you believe in. This is because you’re a born sceptic and critical of many things; you believe there is a practical use for everything. A typical moon in Cancer is a loving, warm, and romantic person with a nice sense of humor that borders on the loony and can be amazingly funny. However, you do have another side to you that is sometimes moody, which is confusing for people who don’t know you well. Socially, you can sometimes feel a bit awkward, being shy with strangers or in unfamiliar situations. Once you feel more comfortable, you are more outgoing. Motivation is something you may lack, and you can be rather disorganized. A typical moon in Gemini is a witty and charming person much liked by many people. You’re not scared to tell others what you really think, and can be quite a chatterbox. People think you are fun and pleasant to hang out with. However, there is also a side to you that is moody and irritable at times. You need a lot of mental stimulation to keep you interested and to prevent boredom. It is important for you to socialize and have a certain amount of freedom. Also, you are very versatile and adaptable. A typical moon in Taurus likes warmth, comfort, and the security of familiar surroundings. A very loving and affectionate person, you also need love and affection from the people around you. You’re hard-working and patient to get things done, but tend to be lazy and unwilling to change, being very much stuck in your ways. This may cause problems in your career, as it is hard for you to get going, and you don’t stay in a job just because it is a comfortable routine for you. You are very interested in acquiring money, though not because you are selfish or greedy, but because you like the sense of security that comes with it.